(HealthDay)—Outdoor exercise can be invigorating and a great morale booster. But always take a few simple steps to stay safe, no matter the season. For starters, dress for the weather. Whether it's cold or hot, that usually involves layering so you can start off warm and peel off layers as you heat up. In warm weather, check out your local heat index. Listen for any ozone warning that it's unsafe to be outdoors before you make the decision to exercise outside. When first working out in the heat, start with short sessions, then gradually increase length and intensity as your body adapts. As the temperature heats up over summer months, adapt exercise accordingly. Wear lightweight, loose-fitting clothing to stay cooler—dark colors absorb heat. Wear a light-colored wide-brimmed hat or cap to protect your head and face from the sun. Carry extra water with you since dehydration can happen sooner than in cooler temperatures. Heat cramps—muscle contractions even without a rise in body temperature. Exercise-associated collapse—lightheadedness or fainting immediately after exercising. Heat exhaustion—rise in body temperature, nausea, headache, weakness and clammy skin. Heatstroke—a life-threatening emergency with body temperature over 104 degrees Fahrenheit. In cold weather, pay attention to the wind chill index—extremes can make exercising outdoors unsafe even if you dress warmly, with any exposed skin vulnerable to frostbite. When it's cold but tolerable, pay extra attention to protecting your extremities—your head, hands and feet. Wear a hat with earflaps to protect your head and a scarf to protect your neck. Wear a thin pair of liners under heavier gloves or mittens. Take off the outer pair if your hands get sweaty. Choose exercise shoes that are slightly larger than usual and wear thick thermal socks or double up on regular socks. It's possible to get sunburned in winter as well as in summer, especially during snow sports at high altitudes. So year-round, wear broad-spectrum sunscreen and a lip balm with an SPF 15 or higher. Protect your eyes from glare bouncing off sand, snow or ice with glasses or goggles. Stay well hydrated regardless of the temperature. Drink water before, during and after your workout, even if you don't feel thirsty. You can become dehydrated from sweating and other factors even in cold weather, yet may not notice it as quickly. If you have a medical condition, check with your doctor before you head outdoors, especially in cold weather. You may need to take special precautions. 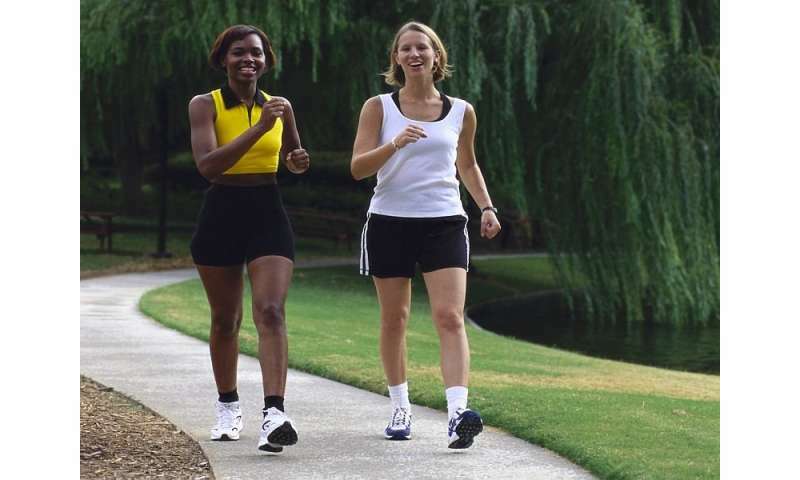 More information: The Cleveland Clinic has additional tips for exercising safely outdoors.